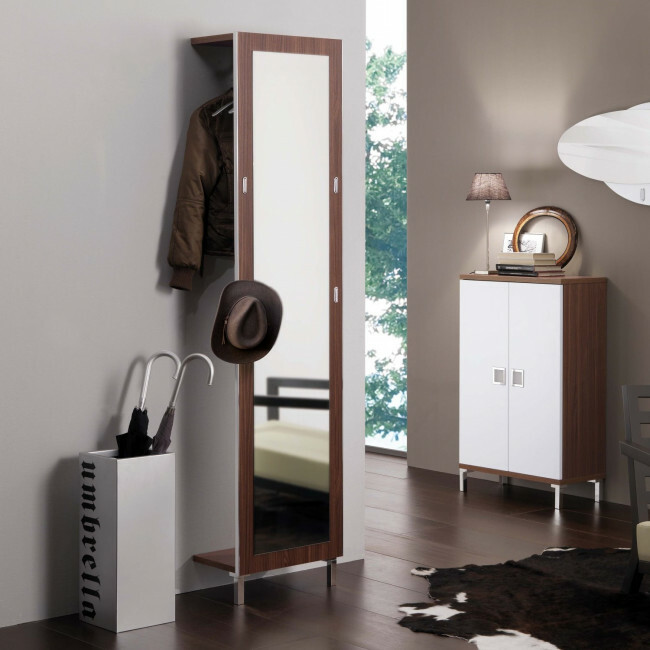 Evolution E02 is a mirror with coat hangers, equipped with 4 hooks on the front and a bar for the hangers on the back. 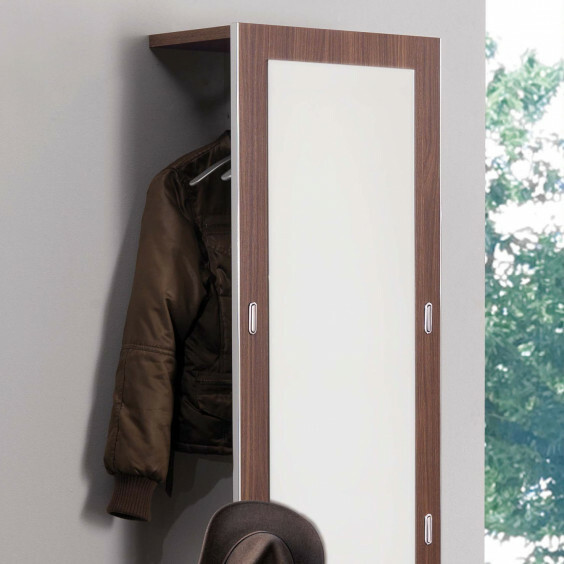 The melamine coated wood is available in 5 finishes with chromed edges making the panel elegant and refined. In just a few centimetres you can hang on the strong hooks hats and bags while using the bar to keep coats, jackets and scarves; at the same time the shelves can be used to store different kind of objects and have a quick look in the mirror before leaving the house. This panel stands on two feet but it also has to be fastened to the wall through two shelves which, other than offer stability and safety, become a surface for objects of different kinds. Evolution E02 is perfect on the entrance hall but it can also be used in a bedroom.